Home » News » Posts » Good morning from Bruny Island! Good morning from Bruny Island! This little wallaby is a regular visitor in the garden at our holiday cottage in Adventure Bay on Bruny Island. Along with her other furry friends, they turn up first thing in the morning for whatever hand-outs may be on offer. 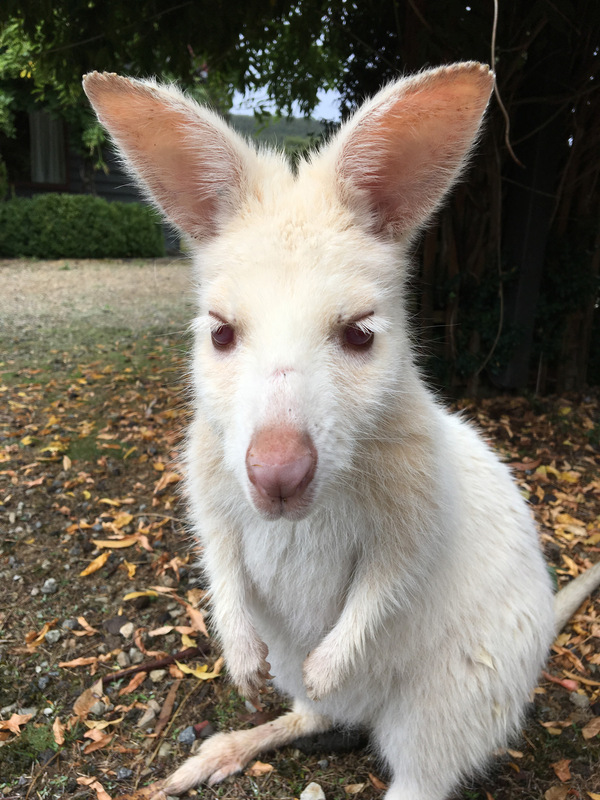 The Bennett’s Wallaby is really common in Tasmania but the white ones are restricted to the southern part of Adventure Bay on Bruny. More information about the Bennett’s Wallaby can be found by clicking here.